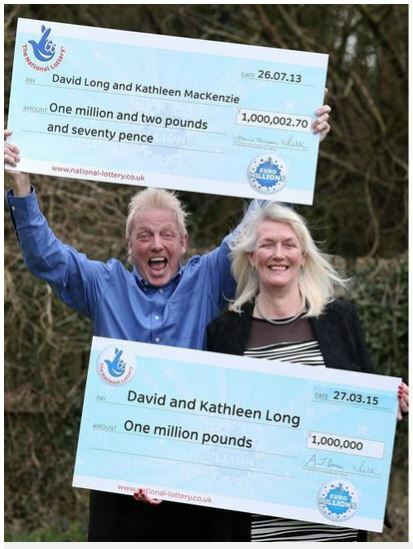 Many people only dream of winning the lottery once, but twice? Is this even possible? It absolutely is and has in fact happened. 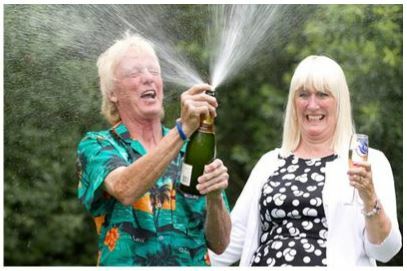 The odds of 283 billion to 1 didn’t seem so out there for a Scunthorpe, Lincolnshire couple, David and Kathleen Long, who won the £1 million jackpots in the EuroMillions twice, first in 2013 and then in 2015. David says that the win was incredibly fantastic and couldn’t have come at a better time, he said that times had been really tough and that he had been really ill for three years, unable to work leading up to it. David said that he lasted three days at work and then took early retirement. The next few months that followed were amazing, allowing them to get married after a 12 year long engagement. They had changed very little in their lives, still living in their static caravan in Scunthorpe. Rather than purchase a new home for themselves they decided to purchase a new home for Mr Long’s mother. David however, did not settle for one win, he believed and even told everyone that he will win again, he was convinced. Somehow with such very slim odds, he did. In 2015, on a Friday night he was passing the local shop and saw there were 10, £1 million prizes on EuroMillions and a luxury vehicle and thought why not buy a ticket. He decided to take five tickets with his usual numbers. Mr Long said his wife checked the television and went online to confirm the numbers. She was shocked and said to him, “Well you did say that you were going to win again!” They were very lucky to also win a luxury car. After they married they did not go on a honeymoon as David isn’t a fan of travelling, but he admitted that it would be wonderful to go on a cruise as a belated honeymoon. David and Kathleen have also generously donated to the Lindsey Lodge Hospice and have decided to move out of their bungalow and into a mansion. Why not increase your chances of winning the jackpot at least once.